now all sudjects books can't be downloaded why? Please allow Physics & Chemistry 10 class new text books to download. 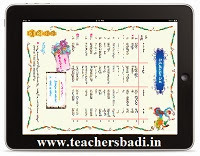 Above mentioned ebooks will be available on Official website apscert.in. Google Account holders can download above shown pdf files. Dear sir, Except x T.M remaining unable to download.Please send how to download all books. I am unable to download X and XII books. Could you/someone please email me these books. >>THE above provided soft copies of New Text Books for 10th Class. Those are designed at the time of Work Shops Conducted. >>It is said by Offcials that SCERT has made Many Changed in it. >>Hence we suggest you to please wait untill the Text Books released. please send all the 10th class new books to my email id " apsmanideep18@gmail.com"
thaks a lot..could u plz explain about social striked off? Thanks a lot just downloaded all ! good job ,by teacher badi. can you give me the link of 2016 textbooks plzz..